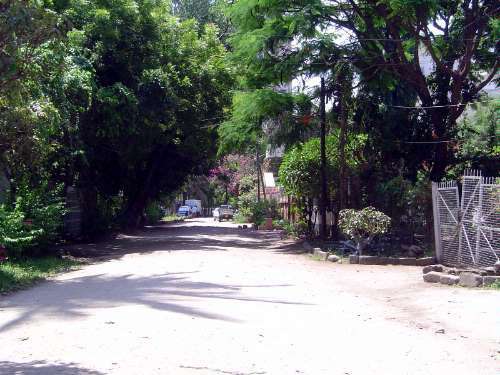 The Germans had planned a gridded residential neighborhood for Africans; it was called Kariakoo and was separated from the European city by a greenbelt, which later came in handy when the authorities built Nyerere Road. By the 1940s Kariakoo was built out. So was neighboring Ilala. Now it was time for the British to try their hand with Upanga, intended chiefly for Indians. No grid here: this was to be a garden city. As late as 1957, when the Department of Land and Survey's published its first edition Guide Map of Dar es Salaam, the streets here had no names. Eventually this one was called Lumumba.